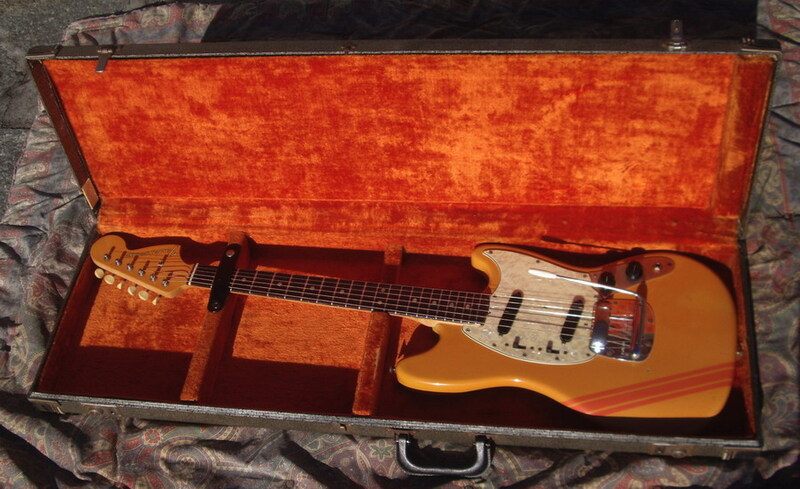 This is NOT a Japan Reissue.The rarest of all the Mustang, this is a 1968 Fender Mustang Yellow Competition Matching Headstock. 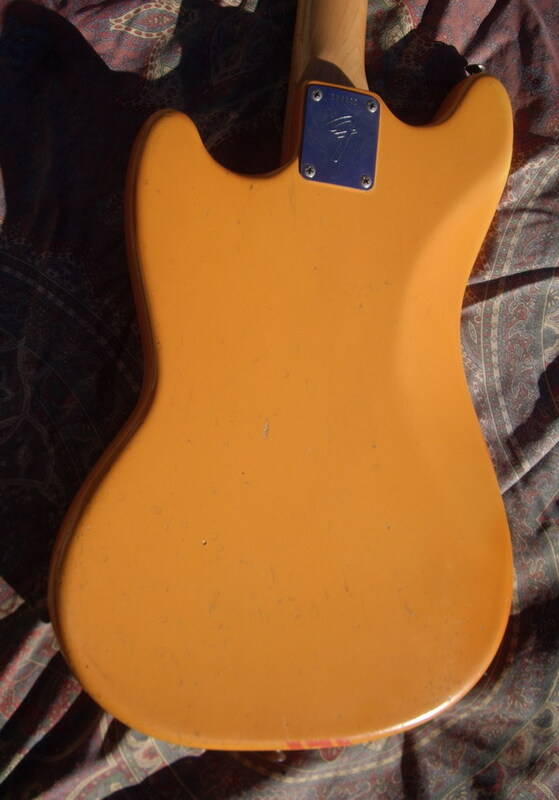 As with all the Yellow competition, it turned a beautifull dark orange. 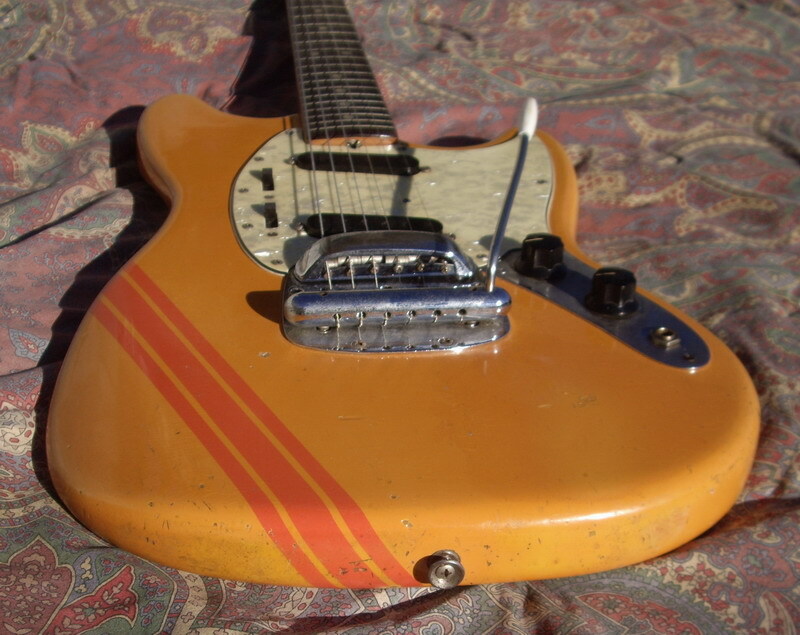 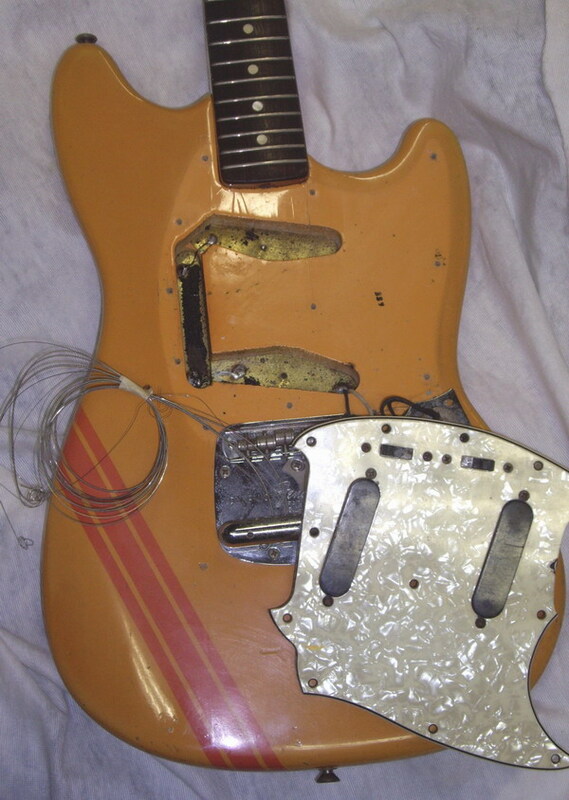 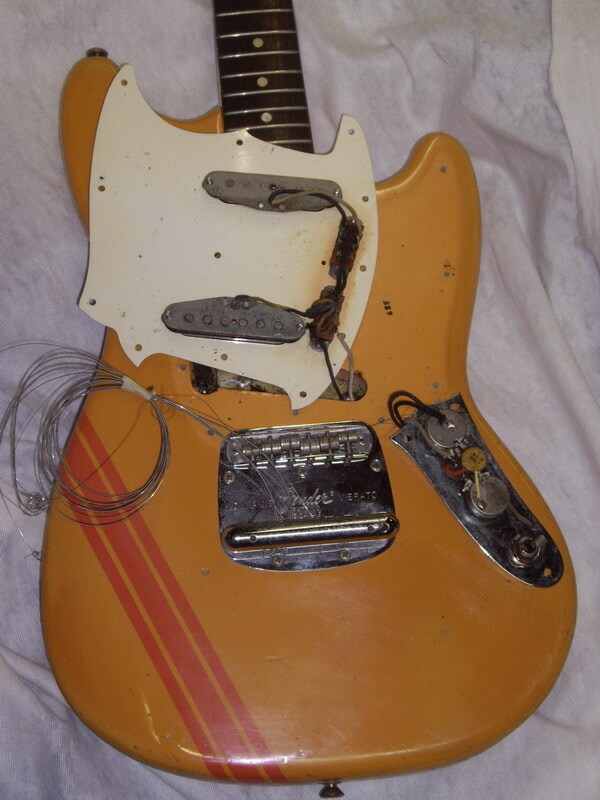 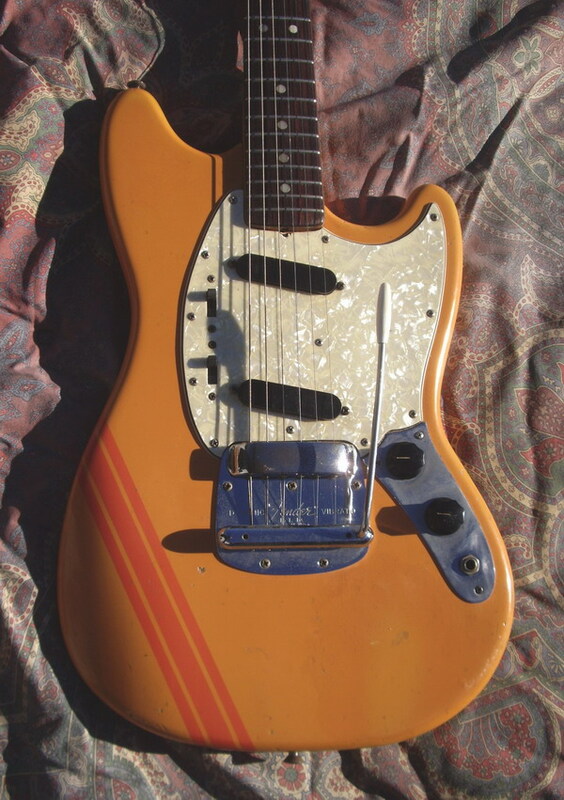 Pearloid pickguard this Mustang is 100% originl and comes with its original hardcase. 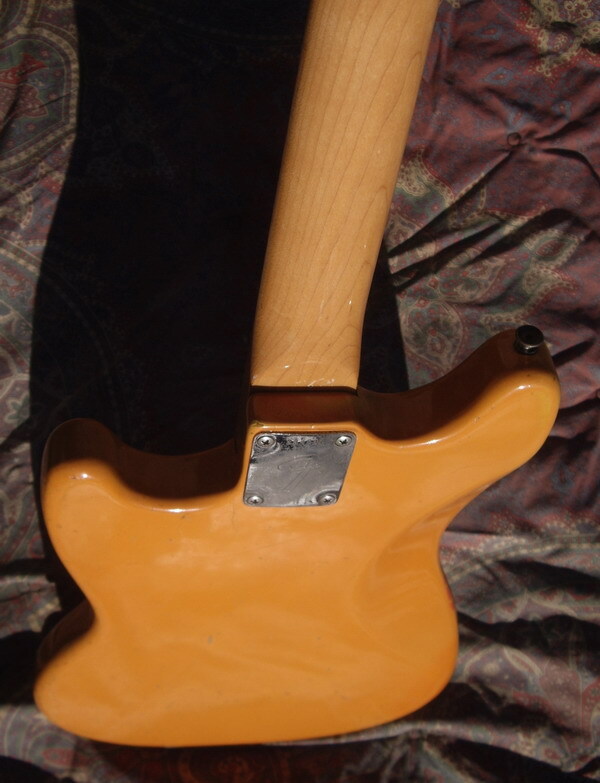 Straight neck, low action. 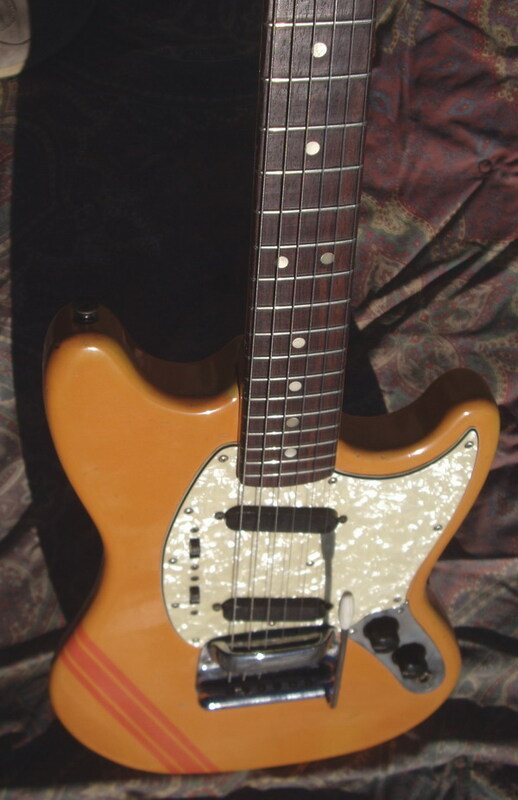 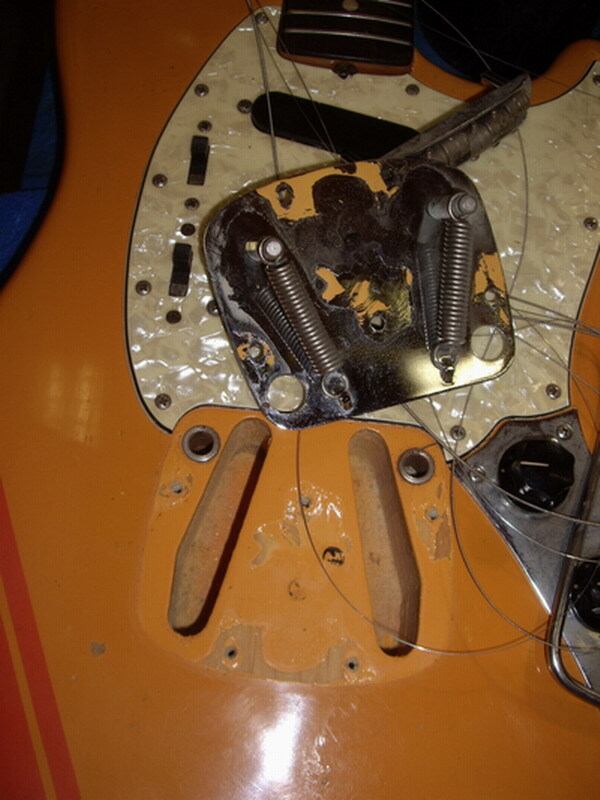 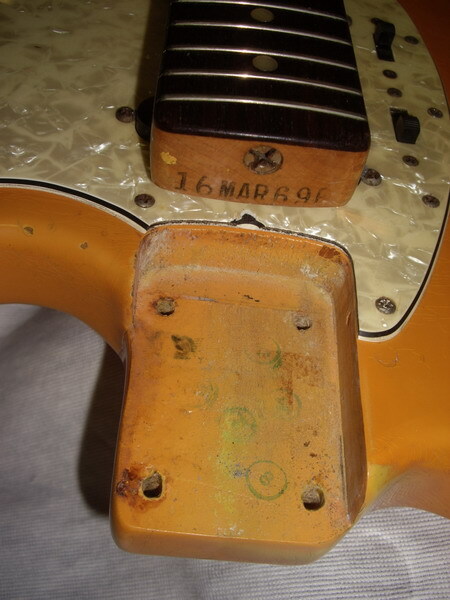 Original pickups have that classic Mustang tone that is warm, clear and jangly.